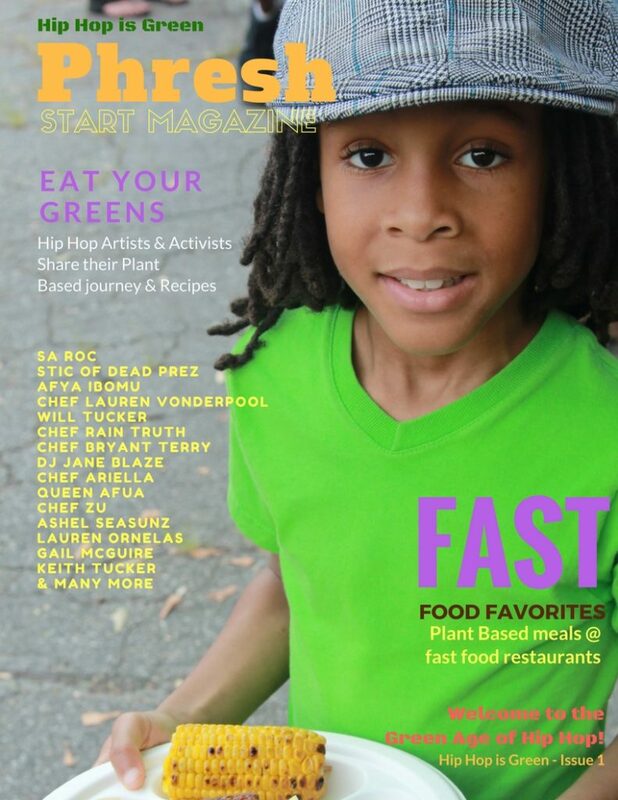 Phresh Start Magazine is the first plant based Hip Hop magazine in history. It's cool, entertaining and informative. With personal stories from Hip Hop artists that live their lives plant based. It is a great tool for your health & wellness journey. It is offered to the community through our Hip Hop Green Dinners, various events and here online. If you want to live a healthy life we are here to help. Learn what steps to take and get connected to the people that can guide you on your plant based journey. Hip Hop is Green is a pioneering movement led by a team of artists and performers that use the power and influence of Hip Hop to speak to youth and spark positive changes in their lives. Hip Hop is Green provides powerful, life changing programs for underserved, low income urban youth and their families in areas of health and wellness through creative media and live events. We are on the vanguard of the new trend of people open to health, wellness and discovering new products.We are the pioneers in this new Green Age of Hip Hop and we make being healthy cool to youth people and families. Our goal is to give youth and families a Phresh Start once they attend one of our 10th Element of Hip Hop and Hip Hop Green dinner events. We will provide them with Plant Based options once they leave. Through the last eight years we have been very instrumental in getting youth and families excited about their plant based journey at our events and this free magazine handout will be a another great tool to introduce them to plant based lifestyles. We've had many people come up to us and say "this food is great and I’m going to start eating more fruits and veggies". So we know what we are doing is making great progress and your participation in this magazine just adds a very important piece to it. Thank you to all who contributed to this first addition. Thank you to our corporate supporters Amy's, Miyokos, The Cool with Kevin Jenkins, Detroit Vegan Soul and Field Roast Grain Meat Company.